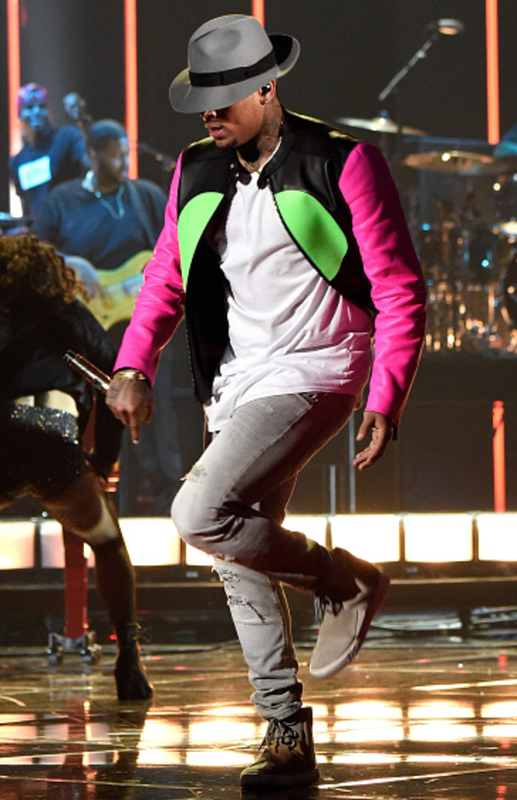 New baby father Chris Brown was invited to perform during Jamie Foxx's set at last night's iHeartRadio Music Awards. The duo performed 'You Changed Me,' off Foxx's first album in five years, due May 19th. Breezy couldn't even sing a simple verse live, but at least the crowd enjoyed what he was serving up, while Foxx played piano. His lip-synced performance follows news of an upcoming Las Vegas residency where he has signed up to do a series of shows, which kick off May 2nd.